I've been fortunate to attend the 2016 Electromagnetic Field camping festival this year. 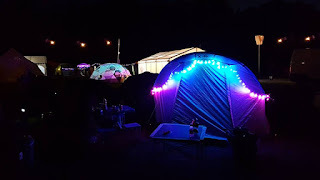 This is a 3 day event in the UK where geeks get together for a fantastic festival of talks and workshops of all things geeky. 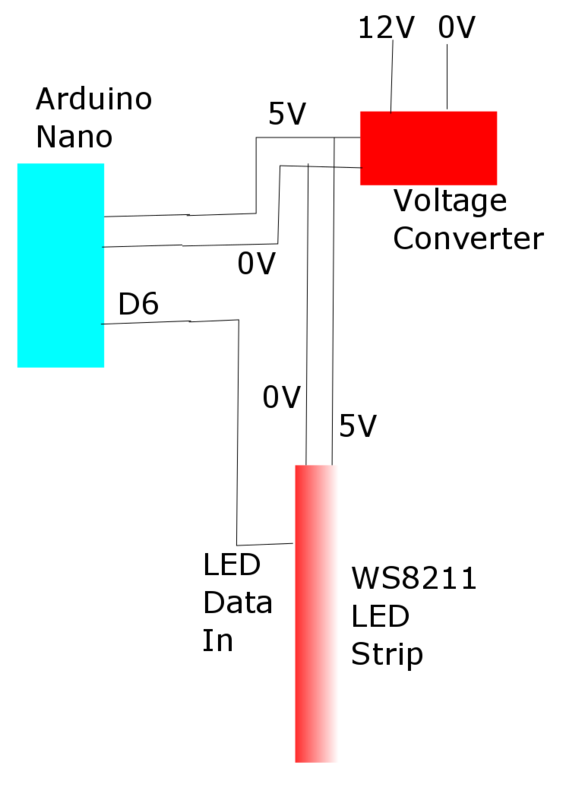 1) Buy WS8211 LEDs from Amazon. 2) Buy a high current 12V to 5V power converter from Amazon. This needs to be capable of providing at least 3Amps. 3) Buy an Arduino Nano. The original boards can be bought in the UK from places like Cool Components. However, Chinese clones are available from places like BangGood. However, these devices will need a driver installing before they can be used with Windows. The Arduino shows up as a serial ports (e.g. COMXX), but the clone devices use a cheaper alternative serial chip than the originals, hence the need for a driver. Here is an Instructable on getting it working. The data can only go in at one end and this is not clearly marked. It's best to check that everything is working before tidying everything up. The 0V and +5V terminals are difficult to identify. By peering through the transparent housing though it is just possible to see the terminals marked as +5V and GND. The remaining terminal is the data line. Note that the connections are the same on opposite sides of the printed circuit board. Wire everything up as below. The converter is used to drop the 12V input to 5V for both the LEDs and the arduino. Download the Arduino project here. You will also need to install the Adafruit Neopixel library. See here for details on installing Arduino Libraries. 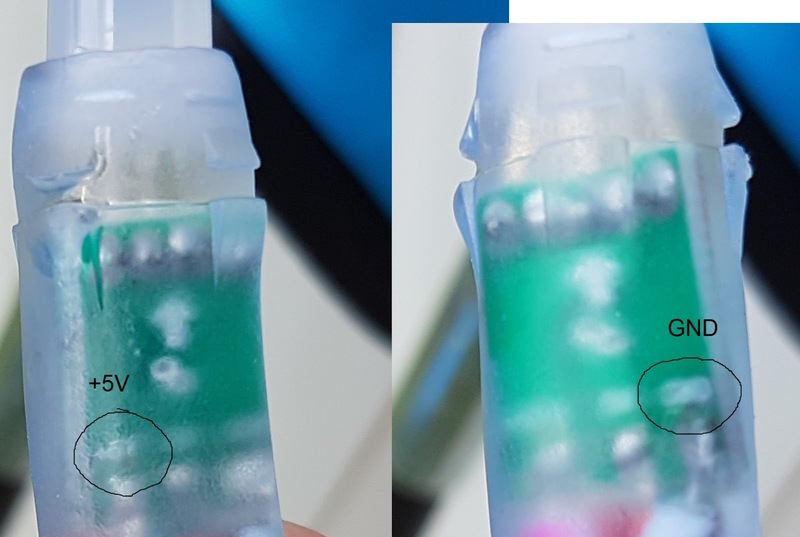 Remember, if it doesn't work first time, try connecting to the other end of the LED strip. And feel free to give me a yell if you are having troubles. Please note that this is a guide only. You follow this guide at your own risk. I am not responsible for any errors, ambiguity, truth or omissions.